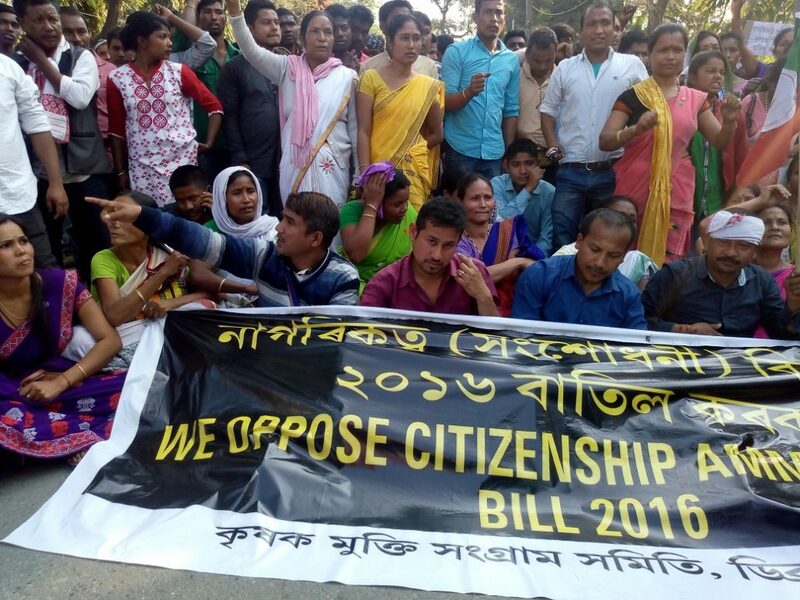 The members of Krishak Mukti Sangram Samiti (KMSS) on Wednesday took out a rally from Khonikor in Dibrugarh district of eastern Assam against the Citizenship (Amendment) Bill, 2016. The KMSS activists also shouted slogan against chief minister Sarbananda Sonowal in front of his residence at Lakhi Nagar in the district. Security personnel were deployed near chief minister’s residence to prevent any untoward incident. Later, the protesters staged a protest near Dibrugarh deputy commissioner’s office. The protesters blocked the road near deputy commissioner’s office for an hour disrupting traffic . “It’s an victory of Assamese people, BJP failed to pass the bill in the Rajya Sabha. We thank everyone for the support against the controversial bill. BJP is trying to divide the people of Assam,” a protesters echoed. On the other hand, AASU activists expressed their happiness after BJP failed to table the bill in the Rajya Sabha. The AASU supporters came out in the streets express their happiness by singing Bihu and dancing with the tune. They also burst crackers near Chowkidinghee field. 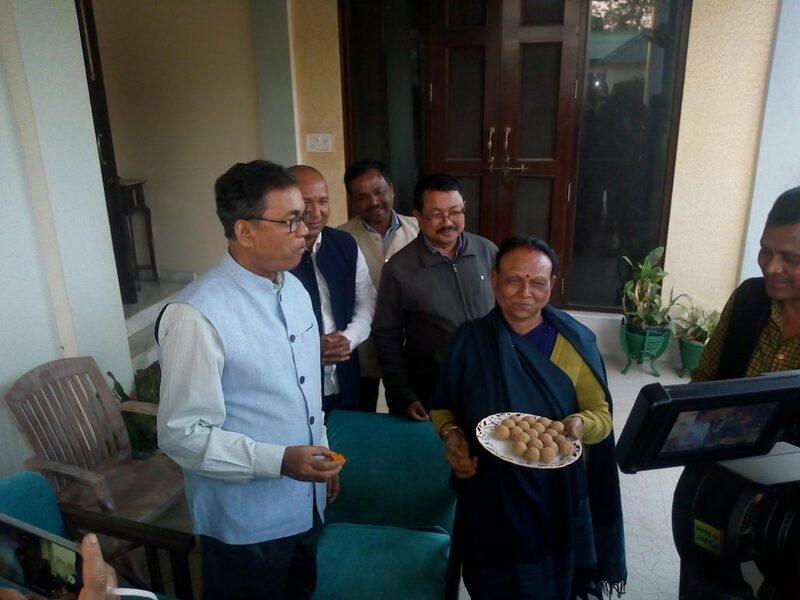 Former union minister Paban Singh Ghatowar expressed his happiness after BJP failed to table in the bill in the Rajya Sabha. “I thank everyone for protesting against the bill. The Narendra Modi led BJP government is forcefully trying to passed the bill but they failed to table the bill in the Rajya Sabha after vehement protest from opposition,” he said. Ghatowar and his wife Jibon Tara Ghatowar celebrated with sweets at their residence in Dibrugarh after the BJP failed to pass the bill.